The 1.3 trillion dollar Australian housing finance market has over the past three decades begun to noticeably stratify into specialised credit segments reflecting borrowers capacity to borrow based on a number of factors. 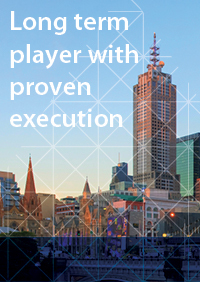 Recently on 12 March comprehensive credit reporting was introduced under new laws in Australia and this is likely to further accelerate segmentation of credit providers into generalist major players like the major banks, and increasingly leave a clearly defined section of the market to niche credit specialists. 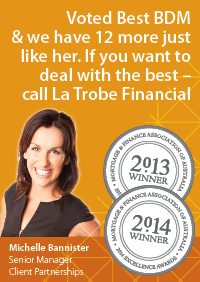 One such credit specialist that has been around for over 6 decades is La Trobe Financial. 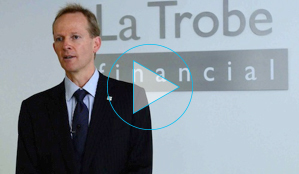 La Trobe Financial has been quite outspoken on a number of industry issues from time to time and particularly in defence of the broker market. As a specialist credit provider we do not have the large branch network or distribution stre downgth of the major players and so we have always relied on third party referrals for the origination of our loans. We have been doing so since 1952 and become experienced and very comfortable with building successful partnerships with our third party brokers. We see them as an essential element of a growing and increasingly sophisticated consumer market where borrowers just don't want to talk to one provider and would prefer to obtain unbiased advice on multiple options for the most suitable home loan or mortgage for their particular needs. Our Broker Partners tell us that some banks have an almost bipolar relationship with their broker; in that one month they are favoured and then the next month the broker is no longer a strategic priority. This bipolar behaviour can often be a simple function of the changing of personnel within the bank such as the Bank's Broker Sales Head, a new strategic direction from that new executive, or the changing of the CEO. But at the core of this behaviour is a deep tactical understanding by banks, that banks don't really need brokers to distribute housing loan product because the banks have such incredible pricing power and can simply drive consumers away or towards them through their own advertising, branch sales force networks or their increasing online direct capabilities. Regrettably the current 10,000 or so reputable licensed loan brokers in Australia are, in our view, strategically far too dependant on banks for their livelihoods. Whilst consumers have clearly benefitted a great deal from the role brokers have played over the past three decades, it is this important feature that we sometimes lose sight of when discussing the merits of having a healthy regulated broker market, in which brokers are properly licensed and remunerated. 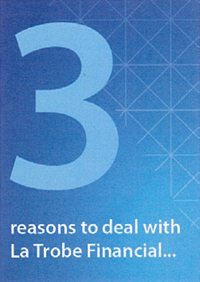 Without the existence of a healthy and vibrant broker market - one in which they can operate successful and thriving businesses employing many thousands of fellow Australians across this country - not only would the economic impact of the loss of the broker industry be significant but as a credit specialist we would lose our single most important source of distribution to market. So from to time we are vocal about our partners needs as Brokers and argue matters of broker importance to make regulators and or others realise the valuable service they provide and to protect our valued partners. Late last year our CEO went on the record attacking the existence of "loan equalisation or risk fees" being charged by some lenders and we recently made it very clear that we will not support 'clawbacks' in the specialist residential and commercial space. We examined the type and extent of Upfront Fees being charged by specialist lenders to consumers and notice an increasing disparity between the Upfront Loan Fee and the different add on charges our peers were embedding into their loan offers as "risk fees". 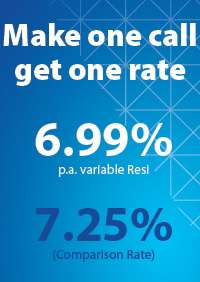 These add on fees were ostensibly to protect themselves as lender against borrower default; whereas in reality that is what the interest rate on their loan is for - to recognise the riskiness of the borrower. So we felt these operators should not be having their cake and eating it too. We also concluded that from surveys that some brokers could easily misunderstand actually what such 'risk equalisation fees' were, and may be selling the benefits of same to consumers as some kind of quasi mortgage loan insurance. This resulted in a massive wake up call for all and we were very pleased that within two weeks of comment by our CEO all peers halved their risk fees and one even called it a Christmas discount, which greatly benefited both consumers and brokers. The outcome was that now it appears - at this point - that total upfront fees, (by whatever name), of all specialist lenders are at pretty similar levels. But we are keeping a watch on this space. More recently the issue of broker clawbacks has again become a talking point so we went public on it in early April. In essence the controversy is self inflicted by both lenders trying to protect against broker churning and brokers who are seeking to renegotiate commercial terms of broker agreements they entered into after 2005 as trail margins are now being squeezed. Both sides have a valid point in the debate. The only legitimate reason - in our mind - for a lender to clawback is where the lender has offered a discounted honeymoon loan period for say 12 months and the loan repays within the honeymoon period - but nowadays most lenders don't even pay trail commission on such honeymoon loans anyway. Clawbacks appear to have therefore become problematic because lenders are incorrectly attempting to characterise the upfront fees as relating to something ‘other’ than initial work performed; that is loss of revenue. Imagine a bank asking an advertising agency to refund some or all of the advertising budget expended at that agency for loan advertisements which resulted in some loans leaving the bank. We think that loan retention risk is a normal ongoing 'operational risk’ for all mortgage lenders and should be fully reflected in borrower loan rates over time, and its important that it should be. Upfront fees should only be recognised as being for upfront work. Moreover the second problem for clawbacks arises where the lender is paying an upfront to the broker ‘in excess’ of the fee received by the lender; or to put it another way not justified by the upfront work completed by the broker. Again, we think that industry benchmark broker payments are currently commensurate with and not excessive for the work undertaken, and that lenders have received full fee income to pay this to brokers. Consequently we can't see any justification for clawbacks particularly in the specialist arena. In the specialist segment this debate is accentuated because it is well understood most borrowers will rationally look to refinance their loans after a shorter loan life to obtain lower rates elsewhere: that is predictable and should always be built into the terms of broker engagement. So to keep it simple, at La Trobe Financial we recognise upfront fees for what they are – a fee to defray/cover the cost of acquisition of the loan by the broker and the lender in on boarding loans to the lenders systems. As a result we welcome the opportunity to pay broker partners their agreed share of the application fee paid by the borrower to us as lender. This way even if that loan repays early (say before expiry of the 2nd year) we have no reason to clawback any amount because in our view they have earned it. 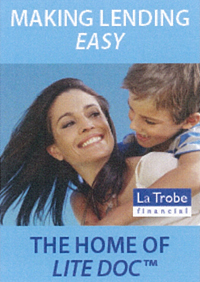 La Trobe Financial has been a specialist lender for over 60 years, we have been doing this longer than anyone and always successfully. 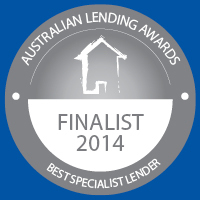 We know this is a valid, long term sector of Australian borrowers that can be lent to well and responsibly. To us, the GFC in Australia, really resulted in specialist lending being unfairly characterised as similar to inappropriate lending practices and products observed internationally. The GFC did reconfirm that these products have to be undertaken with clear mandate and skills and managed appropriately, but the broad brush effect was to undermine market based funding in this space for some years. Pleasingly the funding markets now have a much better grasp on the strength of specialist niche borrowers and the managed risk in this space and funding has returned, quite strongly. And this is a space where if you facilitate it with funding and products, appropriate borrowers will borrow, so it’s facilitating a lot of growth in the market presently, we think well above the equivalent system growth in the prime space. Another such issue that has cleared out is new consumer regulation around responsible lending that came in 2010. The uncertainty for brokers and aggregators around the regulatory view on responsible lending left a question mark on specialist residential lending. We have been saying throughout that legislating responsible lending would be very good, because it would cut out practices and operators that are inappropriate to this space and in consequence, in time, it would leave a specialist lending space clearly mandated by regulation as appropriate, with strong dedicated lenders who know what they are doing. That is the clarity the broker market is now realising and its leading to brokers and aggregators strongly re-engaging with near prime, or engaging for the first time with near prime. Most importantly it's a source of immediately increased revenues from a broker’s existing deal flow, and, if you’re dealing with a full range specialist lender, that increase can include diversified revenue within easy reach. Specialist loans can be more complicated than prime loans and brokers can either get concerned that they don’t know how to arrange that loan, or that its too time consuming. As a result some pass over deals they are already seeing, as too hard or inefficient. Specialist lenders have to be very good at reducing the work that could apply to these loans and in effect, at taking this work off the broker’s hands or making it easy and fast. And this can certainly be done by leading lenders. This is immediate income for brokers from existing deal flow. By engaging in this area a broker immediately builds diversification of their income because specialist lending should also encompass mortgage lending products just outside typical bank dependant prime residential lending. This means smaller construction lending, small commercial lending and some specialised assets. A good specialist lender leverages its skills at making loans easy and fast for a broker, to allow normal brokers to handle these deals as well. Most general brokers think those deals are outside their scope at present and are left to specialists. That needn’t be the case. It’s important for the market that there are a number of strong specialist lenders Specialist lending means there is much more room for more product tailoring or circumstantial flexibility. The main residential players all have a similar product core but there are definitely differences around the perimeter. Servicing plays such a strong role in this space that brokers also need to compare their experience in this as a core proposition, if they are to most efficiently process these loans. Probably the most obvious difference to us in specialist property lending is actually that leading lenders are presently directed towards residential lending. 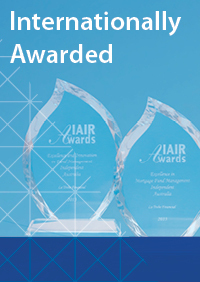 La Trobe Financial in our view is the only specialist lender with a broad capability across all residential products and also a strong capability and experience in small to medium commercial, construction and some specialised assets. 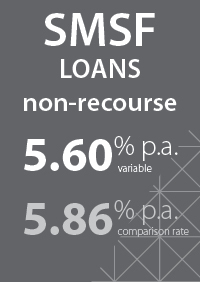 This makes us much more of a once stop shop for brokers, delivering reliable and efficient results and particularly being able to deliver on the above income diversification opportunity - on loans within easy reach of normal brokers. 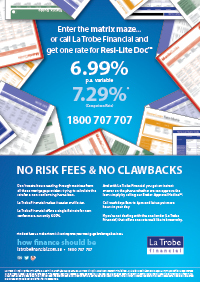 We think there are three reason why brokers should use La Trobe Financial…(1) 'One Rate' if you make one call you get one rate but with many others they have very complex pricing structures and tables,…(2) 'No Clawbacks' as a matter of principle , and …(3) 'NO Risk Fees' charged to your clients.